This is an archive of all the news updates from newest to oldest. Hey, y'all! I know news updates have been coming up more frequently than usual, but I really want to let you know that a few days ago, I discovered and then fixed not one, but TWO issues in the Quillax Ship! Issue number #1 was found when I was trying to download The Mortrix into a Windows 10 computer, where Windows Explorer said that the file is invalid! This isn't because of the zip file itself, but because of how the site downloads stuff since the download counter was added. I got that fixed, but I soon came across issue number #2: Opera (the web browser, not the music thing) sees The Mortrix as a virus, and so does Windows 10 if I downloaded it with another browser! No, this wasn't because it's about a deadly virus, but because of UNLZEXE! 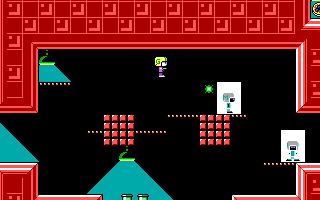 UNLZEXE is a tool that is used to decompress Commander Keen game executables so they can be patched; it was packed along with mods of Keen games that aren't shareware, including The Mortrix. The mods in this site have been updated to remove any trace of UNLZEXE and instead use a newer version of CKPatch, which does both the patching and decompressing whenever you run a mod and is seen as safe by modern computers. I will miss using UNLZEXE; it's been used for years without any known issues until recently. I suppose, though, that it's better to stop using it than have family members be unable to play some of my mods, and besides, my mods now take up a little less space! So, if you've been having trouble trying to download my stuff, then please try again when you can. If you still have any issues, then I'd appreciate if you sent me an e-mail this time. If not, then have fun! 2019 is here, and so is The Mortrix! 2018 has left the world a while ago, with 2019 taking its place! I thought 2018 was a rather good year; I mean, I released The Sunnylands, launched the Quillax Ship, made Go! Go! Gooble! !, and worked on The Mortrix! 2018 felt like a great start for my site overall, and I hope 2019 will be an awesome year as well! So, with the first news update of 2019, I also decided to do the first mod release of this year! My Keen 2 mod, The Mortrix, is now ready to be played by the many Keen fans around here (along with those that aren't so into Keen, if they want to try it)! It took about five months to make, and it felt really nice and fun to work on it! The aim of The Mortrix is to come up with many interesting ideas with the Keen 2 features that I haven't seen anyone else think about, and I think there are quite a few good ones in it (I won't tell what they are, so you'll have to experience them yourself). You can check out my latest mod here. I hope you'll have a blast with it! 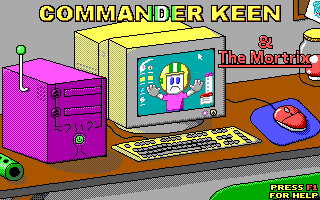 Just don't forget that you'll need a copy of the Keen 2 executable file in order to play it, since Keen 2 is not shareware. Hello, everybody! I was actually meaning to do a news update about as early as October 31, but I didn't get around to doing it, though. Since today is Veteran's Day, a holiday celebrated by Americans, I thought it'd be a good time to do one now. "Ooh! Is this gonna be a reveal of a new project by Quillax? I mean, it's been a while since he released something and there was that white tin can in the previous update. Wait, that header! Oh, OH, could this be!?" Yes, that's a Keen mod; a Keen 2 mod to be exact! Started in early July 2018, the mod's progress has been going well, in fact, I'd say that it's almost done! No release date has been set yet, probably not until it's finished and it got beta-tested. By the way, in case you're wondering, the news update title is not the name of this mod. 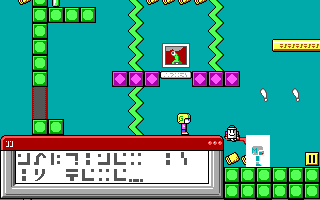 It's just a reference to Yoshi vs. Windows and Wario vs. Windows, a couple classic fangames. Wario vs. Windows was actually the inspiration for this mod (I haven't played the Yoshi one yet)! I could reveal more about the mod, but for now, I'll leave you with what's shown. I hope you're excited to try it out when it's out! Oh, and one last thing, if an external link on this site isn't taking you anywhere, that may be just a quirk in this site. I did find that opening the link in a new tab will work just fine, though. It's October, where many people turn their houses into haunted ones and get prepared for Halloween! I don't really have anything Halloween-related for this site at the moment, but there are some things I'd like to say. First, if you look at the details for games and mods, you can see that the file size, views, and downloads (well, as of October 6, 2018 for the latter two) are displayed! Second, XrackProject is doing a Let's Play of The Sunnylands with her Commander Neon skin! You can check the playlist here if you're interested (there's only one video so far). Well, that's all for now! I hope you're enjoying your time! I've been having fun lately, doing stuff such as working on something cool! While the Quillax Ship can only be accessed through "quintonland.com" (since before this site was a similar one called Quinton Land), it was planned ever since April 2018 that this site would get a new domain known as "quillaxship.com", and now guess what? A couple days ago, entering "quillaxship.com" will now take you to this site! That's right, rather than an error page, a void of nothing, or whatever else would pop in your browser, you can now visit the ship with several mods and fangames through that address! There does seem to be a few quirks here and there, but they shouldn't really get in the way. Although entering "quintonland.com" will still take you to the Quillax Ship, keep in mind that the old domain will be retired at some point, so it might be a good idea to switch to "quillaxship.com" someday. Random fun fact: According to statistics, during the last month, of all the mods and games on the Quillax Ship, Mort's Rescue (the first episode of the Revenge of Mortimer trilogy) has been downloaded the most, downloaded 4 times. It may not seem like much, but keep in mind that this isn't even near to being the most popular site at the moment. I think it's cool, though, I guess people are interested on what's my debut like, eh? Less file space, faster ship! Does it feel like the site has been loading faster than before (it may be a small or large difference depending on your device)? If you didn't do anything with your machine, then it must be because I've compressed the images for this ship! How did I do it? Well, that is because I used a magical tool called PNGGauntlet, which takes PNG files and makes their file size smaller without any quality lost! If you want an example of how much PNGGauntlet smashed the images, then I'd like to say that the logo was 2.18 KB before compression, and now it is 1.24 KB after it was shrunk! Talk about real magic, I must say! Anyway, with that file size compression said, have you heard that I said the Quillax Ship will switch from "quintonland.com" to "quillaxship.com" on early August after announcing Go! Go! Gooble!! 's release date? Well, it seems that moment will have to wait a bit longer, since it seems that transferring domains has proven to be harder than what my father and I thought it would be. But, we've been figuring things out and hopefully with a few extra steps the Quillax Ship will have a new domain! In the meantime, though, I'd like to say that DerGr�neToad has made a gameplay video of Go! Go! Gooble! !, which is rather nice to see! In case you haven't played the game yet, I'd like you to keep in mind that you can also jump and move backwards, even if the video didn't demonstrate those moves at all and just had the Gooble close to hugging the right side of the screen for the whole time. Self-made Island has also made a video of the game, but it seems to have vanished some time ago. It's too bad, really, since I thought he did rather well at the game, managing to score over 30,000 points! And yes, he did utilize jumping and moving backwards! Speaking of Go! Go! Gooble! !, though, did you know that if you score above a certain number, you'll get to see something special? Looking at the online high scores table, it seems that no one has yet to get enough points. Perhaps one day, someone will achieve that and maybe that person will explain what they have just seen (it could be to me or in public somewhere). So, that's all I have to say for this day's news update, and a rather big one, I'll say. Hopefully, we'll be able to switch the Quillax Ship to a new domain sooner rather than later! Yes, it's that time again, where Americans celebrate the birth of the USA by doing many things, including barbecues, concerts, picnics, games, speeches, and perhaps the most famous and anticipated of all, setting off fireworks! As I said in the previous news post, this year's Fourth of July is also when Go! Go! Gooble!! is available to download from the Internet. 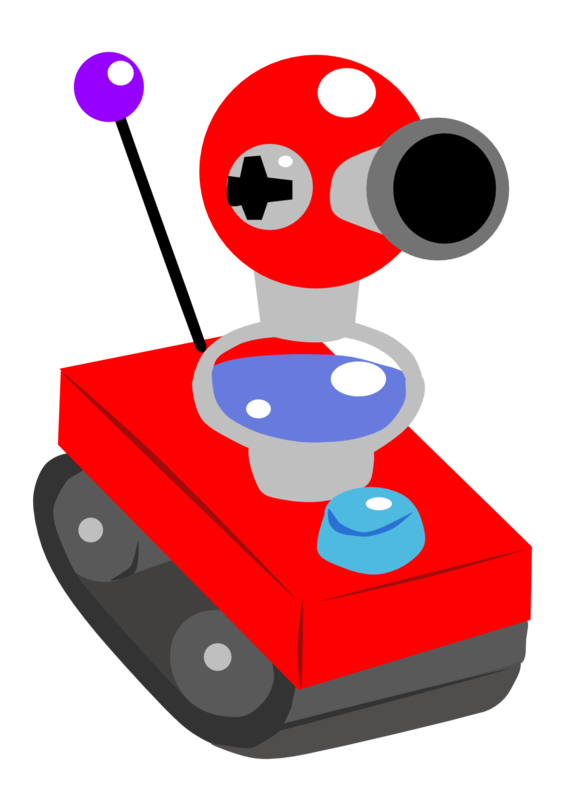 That's right, the chase on Isle Delfino has now begun, and you can help the Gooble avoid the Fluddroid's water and all of the dangers that are on the island! There are seven colors to choose from for the Gooble and both local and online high score tables! I'm sure the online high scores feature will make the game last for quite some time; I do look forward to seeing what the online high scores table will have about a day after release. So, I hope you'll enjoy what Go! Go! Gooble!! has to offer! You can check it out here! If you're an American, I'm sure you know that July 4 is Independence Day (even though, the Congress actually declared independence on July 2, but ssh!). 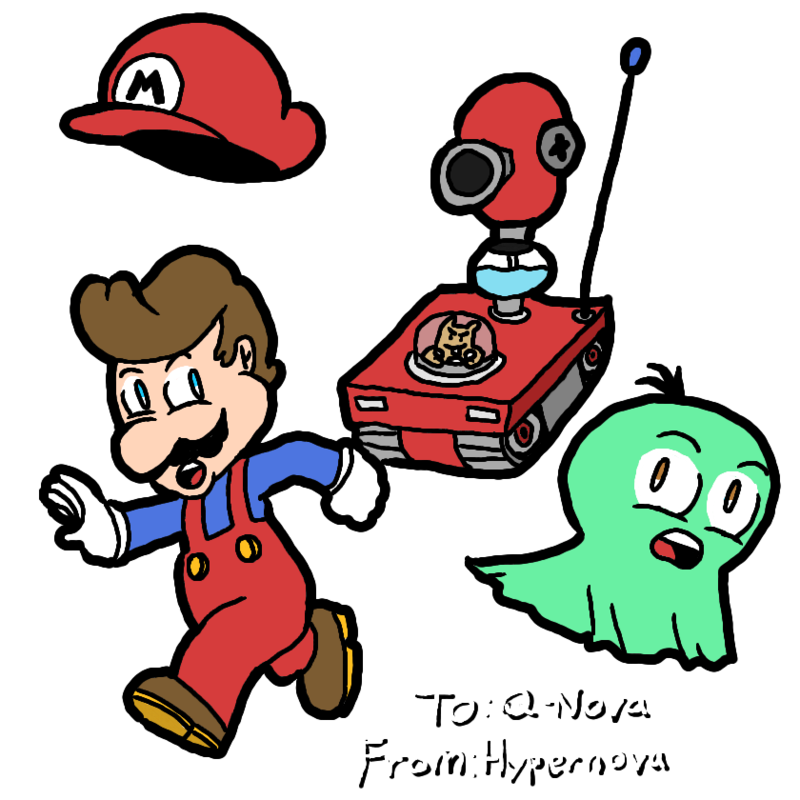 What I'm sure you didn't know before, however, is that July 4 of this year is gonna be the release date for my latest Mario fangame, Go! Go! Gooble! 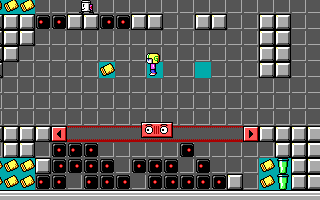 !, which is an action-arcade game! In it, you try to survive as long as possible while avoiding hazards, and it mostly has stuff from Super Mario Sunshine! 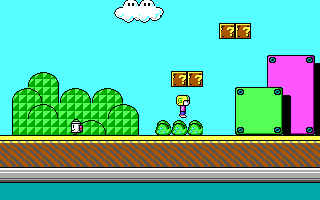 It's been in development for about two months, and has a few stuff I've never really done before in Mario fangames, such as a new art style, original songs that I made (something never heard since Bob-Ball's game over jingle), and online high scores! So, I hope you'll look forward to the day the game comes out like a firework! Oh, and I'd like to say that the Quillax Ship may switch domains somewhere in the beginning of August. The Quillax Ship has landed on the internet! Greetings! After about two months of on-and-off work, the Quillax Ship has managed to make a landing on the internet! The Quillax Ship is a replacement for an old site of mine known as Quinton Land, which has recently been blown to smithereens by the Omegamatic! This site has most of the content from Quinton Land, along with two extra mods (Quillax's NetKeen Levels and The Sunnylands) and an extra fangame (Battle in the Future), and hopefully more content later on! I hope you'll have fun with what this ship holds! Oh, and by the way, while the Quillax Ship uses the same domain as Quinton Land had before, it is planned that at some point, the ship will get a new domain (probably "quillaxship.com").